I had a job it lasted 3 days!!! I thought the Days of Slavery were over Shove it where the sun don't shine is all I can say..
On a lighter note I have managed to get some scrapping done lately. The top one of Jack I have just submitted to Scrapbook Dreams for November. The Challenge was to use your die cuts in a different way by altering. 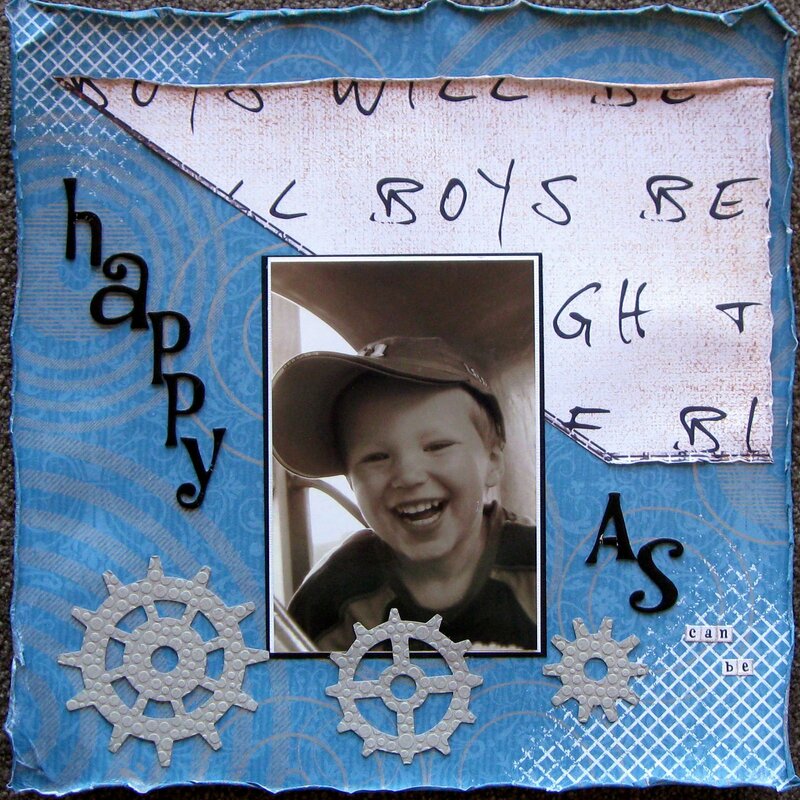 All I did was put the cogs which are cut from Grunge paper through my bubbles embossing folder, and kept them plain to match the grey in the pp. This one is for Scrappin Patch for their Word Wednesday Challenge. The word for this fortnight is "Favourite". 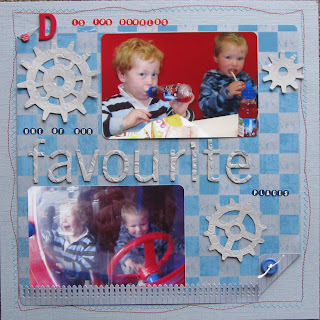 I have used the cogs again in this one they are a goodie for the boys pages and can be used in lots of different ways. McDonalds in Blenheim has just been refurbished. Asha and I took Jack and Blake there for Lunch yesterday they loved it. Blake quite clearly says "Donalds" forget the Mac bit..I thought the pics were just right for this challenge..
Loving the layouts!! Great colours! The job just wasn't meant to be then and good for you on giving it the flick. Good luck with your challenge entries. Two great layouts. sorry your job didnt work out. Great layout Brenda what was the job?????? Love this range of PP :O) Great layouts Brenda!! Haha - sorry the job didn't work out! Good for you, not just puuting up with it! Love all those cogs - very cool for boy pages.